Disciples' memories of the first seven years in Bombay with Srila Prabhupada. 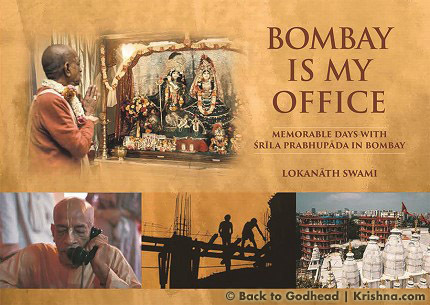 The question generally arises why Srila Prabhupada chose Bombay as his office. An office is a business organization’s headquarters, and unarguably the best place for a business is a big city. In this regard, he followed his predecessor’s precedent: Srila Bhaktisiddhanta said that temples should be in the cities as bases for preaching to the mass of people. A beautiful temple in this metropolis, Prabhupada hoped, would interest the Bombayites in Krishna consciousness and give them the opportunity to make their lives successful. In the course of opening more than a hundred centers and temples worldwide, he wanted a fine temple in Bombay. 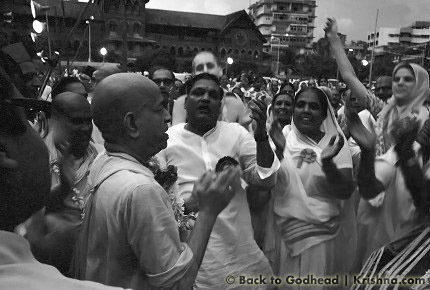 Strategically, it was in Bombay that Prabhupada arranged to go to New York to start the Hare Krishna movement. He booked his passage there, and there he shipped his books to Cochin during the summer of 1965, for pickup by the ship he would travel on. In early August, he started his long journey from Bombay, by taking a train to Calcutta to board the Jaladuta. His Jaladuta Diary mentions the date and train number. He was in transit in Calcutta for ten days and visited Mayapur. Prabhupada went to New York, the most populated American city, which exerts considerable influence on media, commerce, research, technology, education, entertainment, and many other fields. After starting his movement there, Prabhupada, with a similar motive, returned to Bombay, in 1970–71, to launch it in India. Bombay is India’s largest city. Being a port, it has at times experienced unconstrained economic growth, with much foreign influence, and has been most susceptible to change. The population in the early 1970s was six million, and by 2015, twenty-two million. 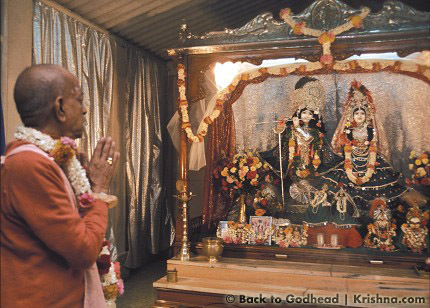 In Srila Prabhupada’s twelve years of worldwide traveling and preaching, nowhere else did he spend as much time as Bombay, though he passed large amounts of time in Vrindavan, Mayapur, New York, and Los Angeles. Bombay was his Indian headquarters. 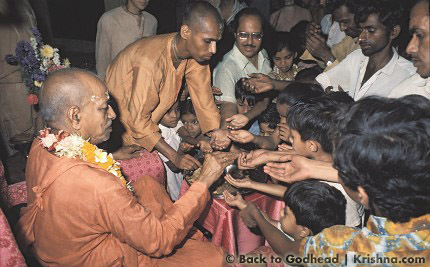 He was heard to say, “What Bombay does, the rest of India follows.” Prabhupada’s main motive was preaching Krishna consciousness in India and the rest of the world. In the business of preaching worldwide and across India, Prabhupada excelled as much as an astute businessman, not forgetting for a moment that his business was for Krishna. He carefully planned that Bombay become his office. 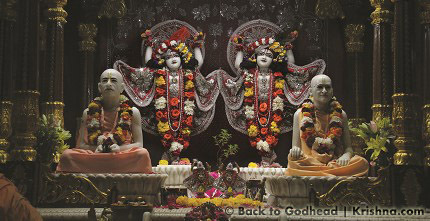 When Prabhupada was in Juhu in the early 1960s to see his patron Srimati Sumati Morarji, the director of the Scindia Steam Navigation Company, about two blocks away from her home he noticed a large plot of land and prayed to Krishna, “If you ever give me this land, I will build a wonderful temple for You.” He devoted time and made determined efforts to secure this land in Juhu and build a temple for Sri Sri Radha-Rasabihari. 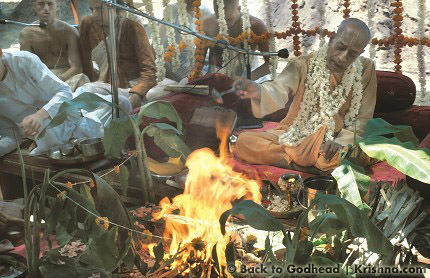 On Prabhupada’s behalf, Krishna tolerated staying in a crude shack just to fulfill His pure devotee’s promise. It was as though Krishna had signed a contract with Prabhupada to let his dream become a reality. The Juhu temple will always remain the symbol of struggle and triumph – in many respects, a Prabhupada institution in and of itself. 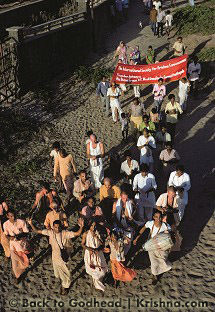 The land acquisition in Juhu was for the purpose of allowing Bombayites to engage in a Krishna conscious way of life. 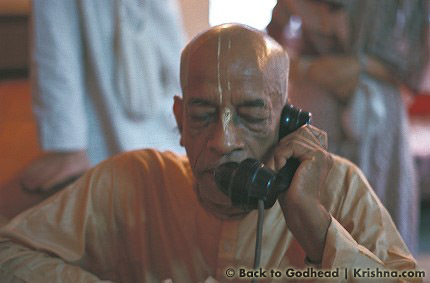 In his epic struggle for the land, Prabhupada demonstrated his leadership as a businessman. He was undaunted, uncompromising, and perseverant to the end. As a businessman fighting for Krishna and not himself, he stood firm always. 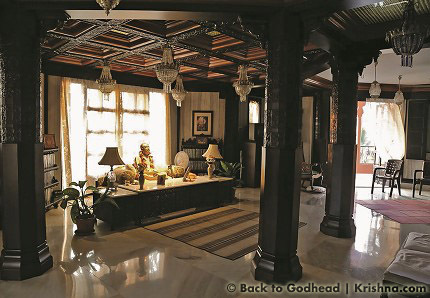 To get the Juhu property for Krishna, Prabhupada displayed a warlike, defiant mood after atrocities perpetrated by Mr. Nair, the property owner, and his wife. Yet when Mrs. Nair came to surrender the land to him after her husband’s fatal heart attack, Prabhupada accepted her as a daughter. 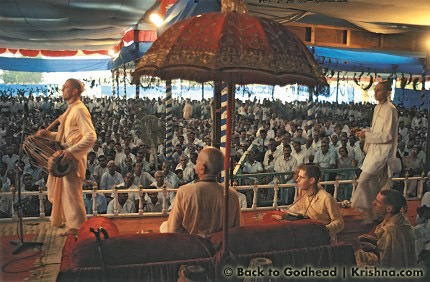 Politeness, humility, tolerance, and determination were Srila Prabhupada’s leadership trademarks. He was a perfect gentleman, a true friend, and everyone’s well-wisher. As early as 1935, Srila Prabhupada had a presence in Bombay. Three years earlier, he had been initiated and given his spiritual name, Abhay Charanaravinda. 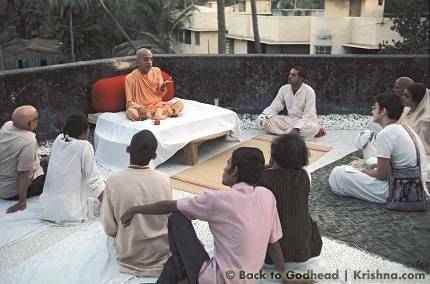 Srila Prabhupada-lilamrita describes how he then moved to Bombay on business and met his godbrothers there and assisted them in finding a better center. In July of 1935 Srila Bhaktisiddhanta Sarasvati arrived in Bombay to establish the Deity worship. While expressing pleasure at the work done by his disciples, Srila Bhaktisiddhanta was informed that Abhay had tirelessly raised funds and done much of the work. Abhay was not present at this moment. He was very involved as a householder and did not live at the center, but someone suggested that he become the president of the temple. 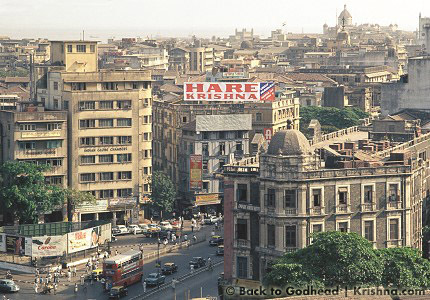 Bombay was home to many important industrialists, some of whom Prabhupada met before going to America. He sold his Bhagavatams to them, confident that if he succeeded in America, then they would willingly give him more substantial support. This was his plan all along: to bring Western Vaishnavas to India to inspire the Indians to take the movement of Lord Chaitanya more seriously. Srila Prabhupada definitely saw Giriraja, also from America, as a committed disciple and appreciated him, and that really gave Giriraja a lot of energy and the reassurance to develop as a leader. He made a lot of life members and eventually became the temple president. Srila Prabhupada’s Bombay office in its earliest years was not an architectural wonder for managerial and administrative work. There was no suitable structure at the beginning, yet he referred to that place, with the bare minimum of modern equipment, as his office. 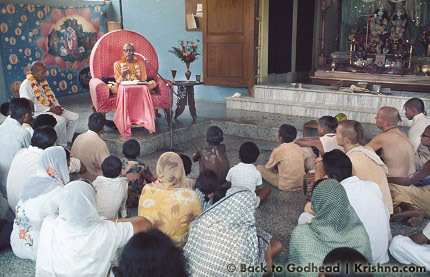 Prabhupada was a spiritual ambassador, and his office was a spiritual embassy set up for his mission. From the sacred space he called his office, he was devoted to directing and coordinating its activities. When the mother of seventeen-year-old Kshudhi Dasa came to Bombay to take Kshudhi back to America, Prabhupada heard that she was a big corporate lawyer. He got her involved in assisting him with the legalities pertaining especially to BBT matters. Once Prabhupada had ISKCON registered and was committed to the land, he began to unfold his vision for a grand project in Bombay. He was determined to establish Hare Krishna Land in Bombay and did not adopt a mendicant’s withdrawn attitude. He was taking responsibility for thousands of disciples across the world. 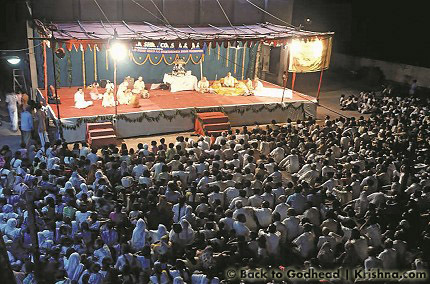 And while devotees around the world were attracted to hear of Prabhupada’s plan for the Bombay center, devotees who had already been experiencing the austerities and challenges in Juhu received the news with mixed feelings. For some, to envision a temple and a hotel emerging from the bush strip was inconceivable. I recall that when I endeavored to collect rice for the prasada-distribution program by going from door to door, I carried a drawing of a fourteen-story building in my preaching kit. I showed this drawing whenever someone would welcome or listen to me. I said that we were planning to build a tall hotel and guesthouse. This seemed an extremely ambitious plan even to the more enthusiastic listeners. 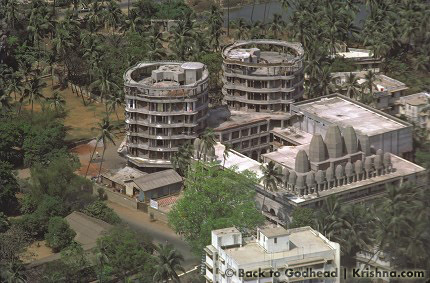 Of course, it turned out that the twin towers of ISKCON’s guesthouse ended up being five stories high. 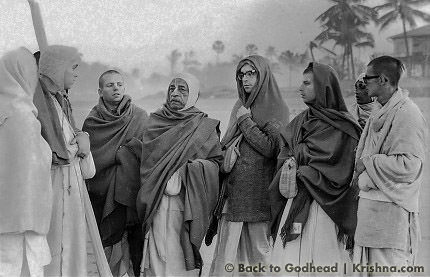 It was from Bombay that Prabhupada envisioned spreading Krishna consciousness in India during the first years the Western devotees were there, even though precise and exact details were yet to be arranged. It was in or through Bombay that invitations were received and accepted and Prabhupada subsequently sent or accompanied his devotees to specific destinations. 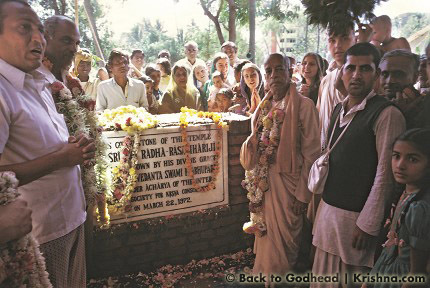 A devotee who often conversed with Prabhupada about the Bombay project was Surabhi. Originally from Holland, where he saw Prabhupada on a Dutch TV show, he recalled searching for the Radha-Krishna temple in Bombay the first time he went to India. He was an inexperienced architect, but Prabhupada told him that Krishna had sent him to design temples and he could start right now. Prabhupada provided a pencil and paper, and Surabhi sat down in the next room and began to draw. 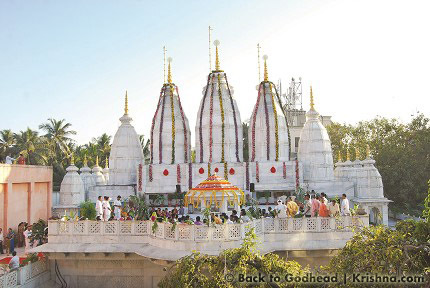 Although the Radha-Rasabihari temple opened in January of 1978, two months after Srila Prabhupada left this world, he did spend time living in his spacious rooms atop one of the two hotel towers. Seeing the progress, he felt happy that the truly palatial temple was almost ready. With the help of others, I've compiled a timeline of the recorded activities that took place at the Bombay office. Alongside his ongoing translation of books, Srila Prabhupada delivered or took part in 433 lectures, morning walks, and conversations. 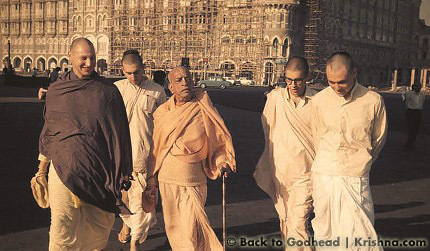 Prabhupada spent some 477 days in Bombay. It is usual for the CEO of an organization to be in his office. As an astute transcendental businessman, he oversaw considerable numbers of national and international affairs from his office. Lokanath Swami was born in 1949 in Aravade, a village in Maharasthra, India. 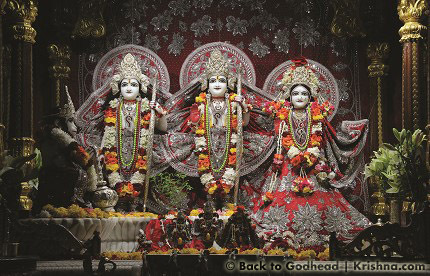 While attending college in 1971, he met the Hare Krishna devotees at ISKCON's first pandal (tent) program in Bombay.